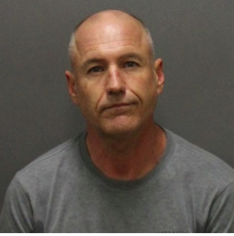 In an incident police describe as “road rage,” Laguna Beach resident Kevin O’Neill was arrested for allegedly using his vehicle to try to run over two bicyclists, who escaped without injury. O’Neill was arrested Sunday, Aug. 13, when officers spotted a vehicle identified as belonging to a possible suspect that had fled the scene of the assault, which took place three days earlier at Coast Highway and Bluebird Canyon Drive. O’Neill was charged with two counts of assault with a deadly weapon and booked into Orange County Jail, where he is being held on $25,000 bail, Sgt. James Cota said.Witnesses told police a disturbance began when the suspect intentionally struck a bicyclist with his vehicle. When confronted by another bicyclist, the suspect then intentionally tried to run him over as well. The suspect fled the scene prior to officers arriving, Cota says in a statement. Suspicious person. 2400 block of S. Coast Hwy. 8:13 a.m. Reese Westenberger, 52, was arrested for suspicion of burglary when police discovered him and his belongings inside a home under construction. He admitted to staying in the home overnight. Suspicious. 31700 block of Coast Hwy. 10:49 a.m. A father was the victim of an attempted scam where suspects claimed to have kidnapped his daughter and demanded cash. Police located the daughter and verified she was safe after her father’s co-worker alerted authorities. The suspects’ phone number was traced to Mexico. Stolen vehicle. 30700 block of Coast Hwy. 5:50 p.m. A Chevy Silverado was reported stolen. Fraud.. 30700 block of Driftwood Dr. 2 p.m. A resident reported a $700 fraud. Vandalism. 1800 block of S. Coast Hwy. An unknown person is suspected of putting sugar in gas tanks and poisoning plants. Traffic stop. Coast Highway. 6:15 p.m. Stephen Sherrill, 41, of Florida, was arrested for a Florida warrant. Welfare check. Glenneyre St. 9:55 p.m. An inquiry over a man whose feet were sticking into the street resulted in the arrest of Saturnino Rabadan Perez, 41, of Santa Ana, for multiple outstanding warrants. Disturbance. 31800 block of Coast Hwy. 11:14 p.m. Blake Vanwaardenburg, 28, of Riverside, was arrested for violation of parole after he became combative when denied service. Security detained him for police. Disturbance. 900 block of S. Coast Hwy. 9:12 a.m. In response to reports about a woman banging on window and laying in the street, Beth Ann Timmer Rosenzweig, 46, of Newport Beach, was arrested by police for multiple warrants and a new littering charge. Grand theft. 1500 block of S. Coast Hwy. 8:31 p.m. A beach-goer reported the theft of a $20,000 watch from Bluebird Beach. Stolen vehicle. 10:25 p.m. Northbound from Nyes Place. Police arrested Matthew David Patterson, 54, of Indian Wells, for four outstanding warrants and a new charge of auto theft. He was at the wheel of a car stolen in Huntington Beach. He was transported to county jail. Grand theft. 600 block of N. Coast Hwy. 1 p.m. High-end alcohol valued at $7,500 taken. Indecent exposure. 100 block of S. Coast Hwy. 2:20 p.m. A Corona del Mar man who was seen exposing himself was arrested for public drunkenness. DUI. 500 block of S. Coast Hwy. 3 p.m. William Henry Boeck, 57, of Anaheim, was arrested for suspicion of DUI and assault with a deadly weapon. Boeck apparently attempted to flee a collision and struck the driver of the other vehicle that stood in his way. Bail was set at $50,000. Traffic collision. Cypress Drive. 5:27 p.m. A vehicle hit two parked cars.